When it comes to tragic lives, Queen Anne undoubtedly wins the competition hands down, mainly due to her horrific gynaecological record. In sixteen years, she had seventeen pregnancies: twelve were either miscarried or stillborn, having died weeks before in her womb. Of all her children, only one survived to 11 years of age before he died as well. There would have been nothing more heart-breaking than seeing Anne and her husband mourning together over a tiny empty cot. Sometimes they wept uncontrollably together. Other times they would just sit in silence, staring at nothing. It must have been unimaginably awful. By the time Anne came to the throne, after the death of her sister’s husband William of Orange, she was sick with grief after losing so many children and she took the throne knowing she was the last of her line – The Stuart dynasty. No one had ever called Anne glamorous. She had poor vision, she was not highly intelligent, and she suffered from polyarthritis, blotchy skin and gout. From birth, she was plagued with numerous health problems and no one had ever really expected her to live to adulthood. In any case, England was not too concerned. She was the second of James II’s two daughters and her uncle, Charles II, seemed more than willing to produce a large family. Anne was so far down the line, she was almost forgotten. Anne grew up in a world full of controversy and death. In 1669, at only 4 years old, she was sent to France for some medical treatment where she lived with her paternal grandmother Queen Henrietta Maria at a chateau outside of Paris. Within a year, her grandmother was dead and she was hurriedly sent to live with her aunt, Henrietta Duchess of Orleans, who had been married for 10 years to Louis XIV’s younger brother Philippe. Henrietta had been having problems with her own health. For 2 years, she’d been complaining of an intermittent, intense pain in her side and shortly before Anne arrived, the pain had progressed and she was having digestive problems as well. One morning late in June, she felt the all-familiar pain in her side again and days later, she was dead. With the sudden death of her aunt, Anne was hurriedly rushed back to the family home in England. In two years, Anne had lost two close family members and had already lived in four different homes. But there were even more changes for her in the future. There didn’t seem a time in Anne’s short life when someone wasn’t dying. In the space of nine months, Anne’s mother died of breast cancer, her young brother Edgar died and in December of the same year, her youngest baby sister Catherine died as well. Of her seven brothers and sisters, the only sibling left was her elder sister Mary. Her world at six years old must have been so full of confusion and death. On top of everything else that had happened in her short life, she and Mary were only one year away from being sent to live at Richmond in the care of Colonel Edward Villiers and his wife Frances. After their mother’s death, they would be separated from their father who was starting a new chapter in his life by marrying an Italian princess only seven years older than Anne herself. On the bright side however, she was also only one year away from meeting the charismatic Sarah Jennings. 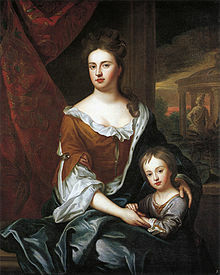 Not too far in the future, Sarah Jennings would become Sarah Churchill after marrying John Churchill, a promising young officer in the English army and the brother of her father’s former mistress, and she would be destined to become Anne’s closest friend and advisor for most of Anne’s reign, although somewhat controversially. To have had so many changes in her young life must have left the 14-year-old almost numb with shock. Her mother, grandmother and aunt were all dead and her father had little to do with her. She had lost all but one of her siblings except for her elder sister Mary who had left the country to live with her new husband, William of Orange, in Europe. Anne was utterly alone. To all intents and purposes, Anne must have been a lost little girl, isolated and alone. It helps to explain why Sarah Jennings was able to step in and cement their relationship with such ease in a world full of upheaval and it’s easy to understand why Anne clung desperately to the one constant in her life. At fifteen, Anne was still un-betrothed and her uncle Charles II had begun looking for an eligible match who would be welcomed by his Catholic ally, Louis XIV of France. Prince George of Denmark, the younger brother of King Christian V, seemed the ideal match and Anne’s father James eagerly consented. It was the ideal solution to diminish the influence of his son-in-law, William of Orange. 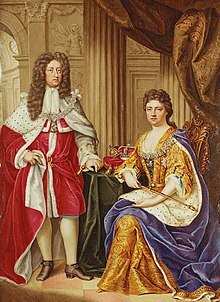 Although an arranged marriage, both Anne and George seemed devoted to each other and England breathed a sigh of relief. Within a couple of months, Anne fell pregnant and England celebrated joyously with the news. But the revelries did not go on for very long. Anne miscarried soon after the announcement and sadly for her, it would be the first of many. Year after year, pregnancy after pregnancy, miscarriage after miscarriage, Anne began to lean more heavily on Sarah for support and companionship. When babies died, Sarah was the one by her side comforting her. When Anne’s uncle Charles died and her father James, a staunch Catholic, became king, it was Sarah who fully understood the implications. The year 1687 was particularly devastating for Anne. In January, she suffered a miscarriage and barely two weeks later in the first two weeks of February, her only two surviving children, Mary and Anna Sophia aged 2 and 1, died of smallpox within six days of each other. In October the same year, Anne delivered a stillborn son when she was 7 ½ months pregnant and in April of the following year, she miscarried yet again. Through all of it, Anne became more dependent and emotionally fragile and Sarah seemed to be Anne’s most loyal companion. As for the smart, young, ambitious Sarah, it was the perfect arrangement. The House of Stuart desperately needed an heir for its survival and England was beginning to feel nervous. That nervousness escalated when James and her stepmother finally produced a son in 1688 and a Catholic succession seemed more than likely. That is, until Parliament stepped in and invited Anne’s brother-in-law, William of Orange, to invade and he had done the unthinkable and taken up Parliament’s offer. The Glorious Revolution had begun. On July 24, 1689, Anne gave birth to a live baby boy at Hampton Court Palace and Parliament held their breath. The child was baptized William Henry three days later and his godfather King William III declared that the title of Duke of Gloucester would be his. After William’s birth, Anne would eventually go on to have more unsuccessful pregnancies: two premature babies who lived for about two hours, four stillbirths, and four miscarriages. When Young William was born, he seemed to be a bright, healthy little boy. But soon, Anne’s worst fear was realised and he began to suffer from a series of convulsions. Knowing the fate of her other children, his doctors feared the worst. Anne and George were inconsolable and never left his side, wringing their hands and crying softly throughout the night. Almost miraculously, he pulled through, although weaker and less lively than before. Young William did not walk or talk until the age of 3 and as he grew older, it became more apparent that there was something terribly wrong with the child. The little boy had to be held up by his servants when he attempted to walk and even then, he tottered. He could not even go up and down stairs without help. Although he seemed to have grown, although slowly, by 5 years old, his head was so round that his hat was big enough for most men. This was the dawning of awareness that William had hydrocephalus. Anne and George seemed oblivious and glowed with happiness. Until his 11th birthday when he complained of a headache and a sore throat. Everyone assumed it was because of the excitement from his birthday so he was put to bed and left alone to rest. In the evening, his throat had worsened and he had chills. His doctors used the usual dreadful treatments of the time, bleeding and blistering, which no doubt made the boy’s already fragile condition even worse. It was as his mother and father were bent in anguish over his bed that William died in the morning of July 30, 1700 at Windsor Castle. His death meant the end of the Stuart dynasty. Parliament searched desperately through the Stuart family tree looking for a more suitable candidate than the Catholic son of James II and his second wife, Mary of Modena – James Francis Edward Stuart. But with fifty of Anne’s Catholic relatives standing in a long queue to claim the throne, they needed to be quick. One by one they went through the list crossing names off, even the names of those who had a legitimate claim to the throne were discarded in their frantic attempt to find a Protestant heir. Until the name Sophia Electress of Hanover finally popped up. 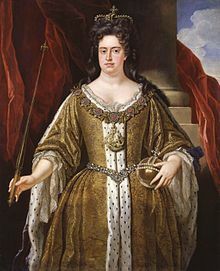 She was the granddaughter of James I through his daughter Elizabeth and as such, she had Stuart blood running through her veins and she was a Protestant. Parliament quickly told Sophia the good news and then breathed a sigh of relief. George’s death in October 1708 marked the point when things became unglued for Anne. With her rock gone, what was the point anymore? Even Sarah Churchill had proved to be more an antagonist than a friend. Occasionally she would rouse herself but it was never with the same fervour as before. Although considerably older than Anne, Sophia of Hanover enjoyed much better health. Then one day, she was walking in the gardens of Herrenhausen when she ran to shelter from a sudden downpour of rain. It was there, alone in the garden, that she collapsed and died. One month later, at only 49 years of age, Anne suffered a stroke and died as well. After twelve months in bed, obesity and gout, seventeen pregnancies had finally taken its toll on her body. It would be a new era for England and they were to find that their new king, George of Hanover, was a short, quiet German who could barely speak a word of English. 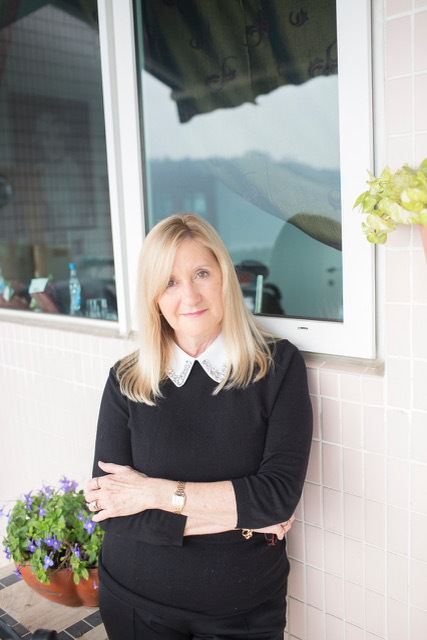 Australian born Trisha Hughes began writing 18 years ago with her best-selling memoir ‘Daughters of Nazareth’. Trisha’s passion is history and she loves bringing it alive in a way that is easy to read and enjoy. Her hope is to inspire young readers and the young at heart to understand and enjoy stories and legends from the past. While living in Hong Kong, she writes for a local magazine and is involved with young writers. Find out more at Trisha’s website: www.trishahughesauthor.com and www.vikingstovirgin.com. You can contact Trisha on her Facebook page, Trisha Hughes Author and on Twitter @TrishaHughes_. The book is available on Amazon on 28th April. Great article!! Even as a lover of my country’s history, I’ve never read any detail of Anne’s personal life – though of course, the personal tragedies must have been awful. By all accounts she was an interesting woman. But, Anne’s reign becomes distilled into the War of the Spanish Succession, a huge palace in Oxfordshire for the victor, the Union between Scotland and England – and the last of the Stuarts! Hurrah!! Apropos your comment “But with fifty of Anne’s Catholic relatives standing in a long queue to claim the throne” I’m struggling to understand who these were? I can see James “The Old Pretender” and Charles “Bonnie Prince Charlie” so am missing some? Thank you Susan. That’s a really useful link. Fifty did sound a little untenable. Six then. Susan. I did the numbers. An interesting trip through the families of Bourbon and Savoy as well as others. I arrived at 27 people ahead of Sophia who were alive at the time of Queen Anne’s death 01 Aug 1714 and who were excluded from the succession. I have excluded illegitimate and morganatic too. I want to cry for Anne. As a childless woman past the age of bearing, I can only try to imagine her pain. While I believe Mary I had the harder & more frightening life, Anne’s pain was incredible for a woman of her position and privilege. A queen in her own right, and yet seen as mostly a brood mare, as so many women were. 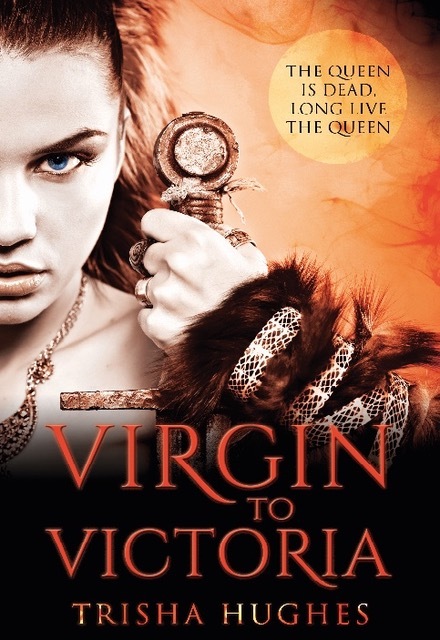 No wonder when Victoria came to the throne she chafed & fought back from such expectations! A heartrending and introspective history, well documented & presented with compassion! Blessings and thanks, good Ms. Hughes! Another sad story. I learn so much from the Freelance History Writers as a science major I missed a lot of interesting things along the way. How sad could a life be, poor Anne! Still, it was a very interesting read. Thank you Trisha, and Susan, for bringing these lives from the past to us. They’re enjoyable, and make you appreciate modern medical technology to say the least! Yet always fascinating what people did because they felt they had to- for the good and the bad.